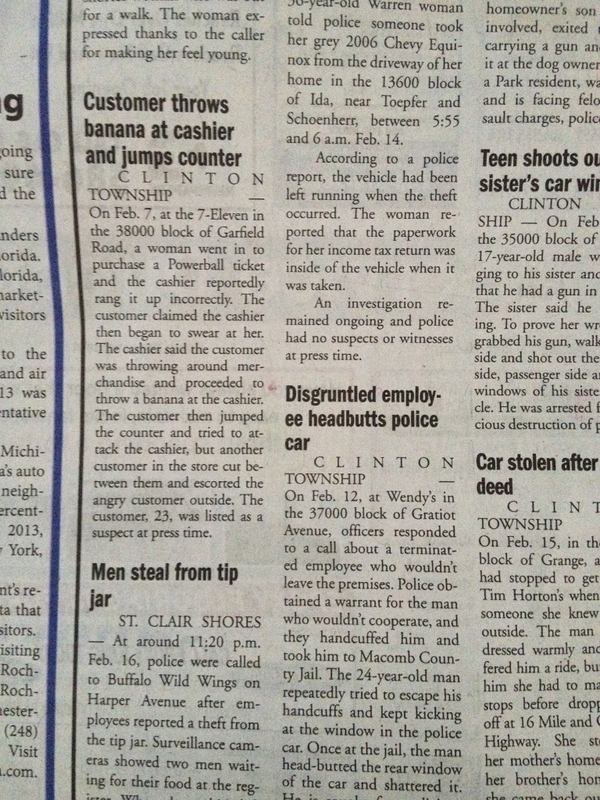 This entry was posted in Grosse Pointe and tagged Headlines, Humor, Silly News. Bookmark the permalink. Those are great! I thought for sure they were going to say the man who threw the banana then tried to split. Many, many years ago, there was a blog named “Small Town Misfit”. It featured news stories just like these, and invited readers to comment. That was a fun blog. I don’t think it’s around anymore. Anyway, thanks for the memory. 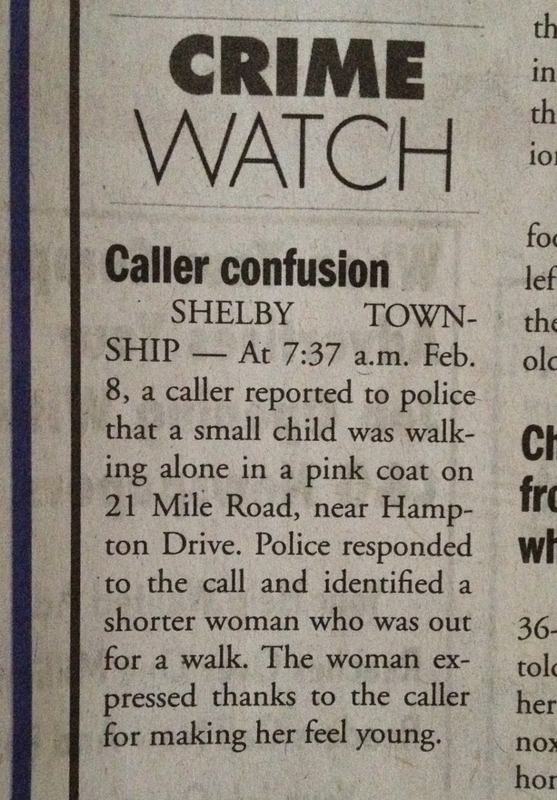 “A shorter woman who was out for a walk.” Bahahaha!!!! The terminated Wendys employee who headbutts and shatters the police car window- impressive! !